Amalgamating communities into larger chunks would come with some advantages — and some downsides. Calgary has 202 neighbourhoods and counting. But can we afford all of these neighbourhoods, with so many having their own community association and community centre, many of which are chronically struggling for volunteers and funding? Is there an opportunity to merge some of the neighbourhoods to create more logical, viable and vibrant communities? Creating great neighbourhoods is critical to our city's present and future prosperity, as they attract young people to want to live here. It is young people with new ideas and new energy who are the future of any city. A good neighbourhood fosters social connectedness, economic diversity, well-being and civic pride. 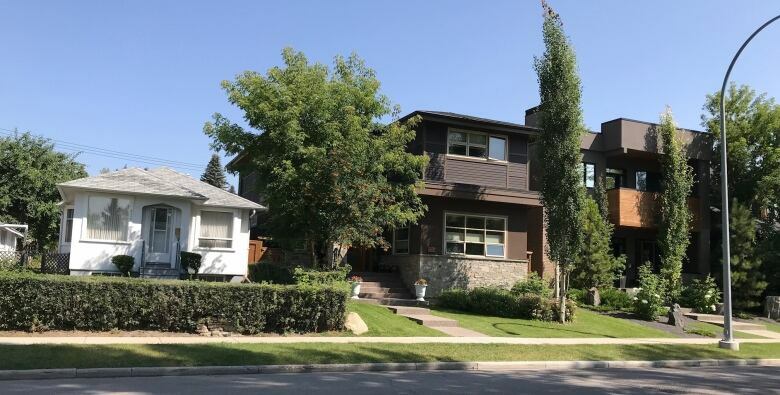 One of Calgary's urban-living advantages since the 1960s has been how it has fostered small-town-sized neighbourhoods of about 5,000 to 10,000 people. From the new Legacy in the far south, to Cliff Bungalow in the core — our city has kept its communities relatively small, even as it grew from from a population of 250,000 to over one million. These small-town-like neighbourhoods made it easy for hundreds of thousands of Canadians who moved here, often from small towns, to assimilate into the big city. It also psychologically makes us feel more connected to people around us. On a personal level, I know I have come to love my neighbourhood, West Hillhurst, because of its idiosyncrasies. 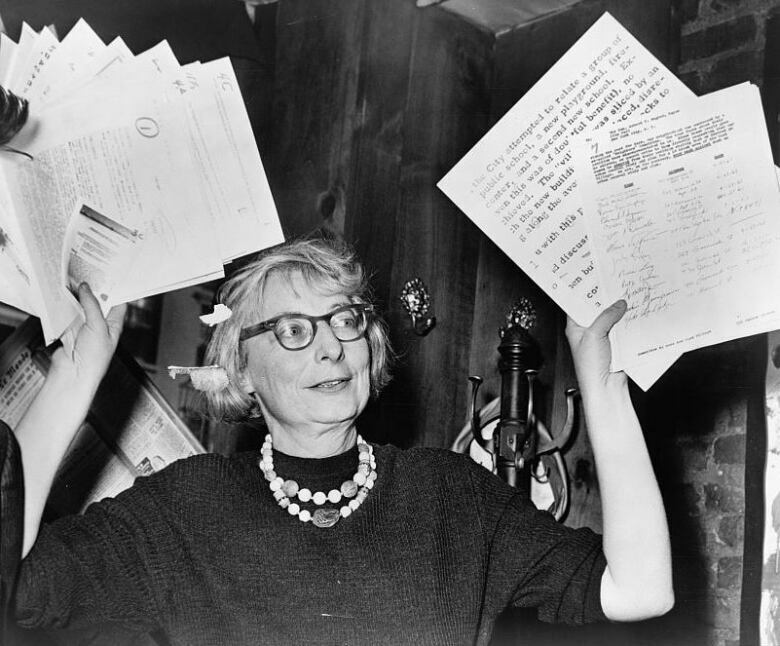 However, Jane Jacobs, the legendary writer on cities and urban design, always maintained that small communities are a sentimental longing for the past and that we should be fostering larger, more urban districts of 50,000 citizens or more. She even suggests that small-town-sized neighbourhoods foster NIMBYism, something we all know Calgary is plagued with. Jacobs argued that bigger neighbourhoods are better. And, as our city continues to grow, the temptation to create bigger neighbourhoods looms. Certainly there would be cost savings by eliminating duplicated resources, and larger communities might hold more sway with city council and developers. But I think good things come from small neighbourhoods. In 1960, Jacobs wrote the definitive book on creating great neighbourhoods, The Death and Life of Great American Cities. It has become the bible for many of today's urbanists — planners, politicians, architects and other urban influencers. You might think someone who fought to preserve mid-century neighbourhood life would love small neighbourhoods, but you'd be wrong. Here's what Jacobs said in her chapter on the uses of city neighbourhoods: "Neighbourhood is a word that has come to sound like a Valentine. As a sentimental concept, 'neighbourhood' is harmful to planning. It leads to attempts at warping city life into imitations of town or suburban life. Sentimentality plays with the sweet intentions in place of good sense." 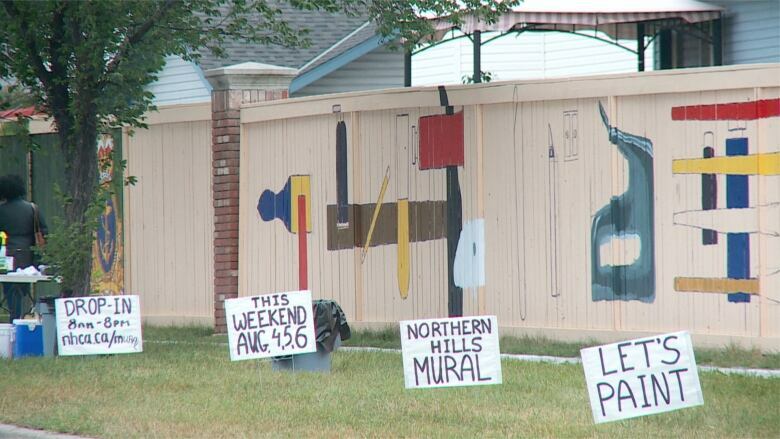 Well, Calgary certainly has suburban life — imitation or not. And we've even tried to create a vision of 19th-century "towns" (think McKenzie Towne). Later, Jacobs writes: "In its pure form the ideal is a neighborhood composed of about 7,000 persons, a unit supposedly of sufficient size to populate an elementary school and to support convenience shopping and a community centre." Then, she goes on to say the focus should be on creating districts of about 50,000 to 100,000 people. This, she argues, would create a critical body of voters which could in turn influence politicians. Ironically, this fits nicely with Calgary's 14 wards, each having a population around 100,000, each with their own schools, a major park, library, recreation centre and shopping mall. But, it's probably fair to say most of us don't identify with our ward. We are still stuck on community. And maybe there is something to this. Maybe it's time to stop thinking of our neighbourhoods as pristine, little, imagined communities. Maybe we need to relax a bit when it comes to our community associations trying to gobble up resources so we can each have our very own little library or pool, school or soccer pitch, dog park or city contribution to some cultural event. I have to admit Jane's logic makes more sense now than perhaps it did in the '60s. Today, urban living means a home in one part of the city, while working in another and playing in yet another. We are just as connected with someone on the other side of the city as we are someone on the other side of the street. Most kids don't grow up in their neighbourhood any more; their daycares, schools and extra-curricular activities are rarely in their 'hood. Recreation centres, libraries and churches are mega-regional facilities that attract people from all over the quadrant. Few walk to the library, playing field or recreation centre these days. Humans have lived in small towns for millennia. We like it when we see people we recognize at the dog park, playground or store. Even if we don't know their name, we will say "hi" if we see a person frequently enough. Living in small neighbourhoods is in our DNA. I don't have any empirical data, but based on my 35-plus years of living in Calgary, I believe most Calgarians like living in their small-town-like neighbourhoods. I know that, living in West Hillhurst for more than 25 of those years, I have come to enjoy the diversity of my community. I expect the same is true for most Calgarians. West Hillhurst was originally part of the massive, 146,000-hectare Cochrane Ranch owned by the Riley family. Over the years, the land has had names like Grand Trunk, Upper Hillhurst, Westmount, Parkdale Annex and Happyland. Today it is home to 6,500 people, with the heart of the neighbourhood being West Hillhurst Park and recreation centre. It may not have all of the bells and whistles of the new mega-million-dollar recreation centres on the outskirts of the city, but it works just fine. I love that West Hillhurst is more than just a sea of luxury infill homes. Even though there has seemingly been a new infill being built on every other block for more than 25 years, there are still lots of tiny cottage homes and single-story, mid-century homes. I love how the past and present intermingles. It's a bit of a jumble — schools, parks, homeless shelters, affordable housing, an abortion clinic, an Enmax transformer, senior centres, a Lions Club, churches, a river, roads, rec centres, playgrounds, shops, and a hundred other things, all of which form community. I love the social cohesion that exists in my neighbourhood, how people of all ages and backgrounds mix. I doubt West Hillhurst is unique; I expect all of Calgary's 202 communities have their own charm and appeal. In a big city you need a spectrum of communities that will appeal to the diversity of lifestyles, from high-rise living to estate homes, from co-op housing to affordable housing. A city's richness comes from the diversity of its neighbourhoods, and Calgary is blessed with such. But it may be time for some of this wonderful uniqueness to merge. Today, West Hillhurst is divided by Crowchild Trail. Many people think what lies to the west of Crowchild is Parkdale, but the boundary between the two communities actually lies even farther west than that. I will probably be tarred and feathered for saying this, but perhaps it is time to re-evaluate our boundaries. They are only imaginary anyway. Should West Hillhurst and Parkdale amalgamate? 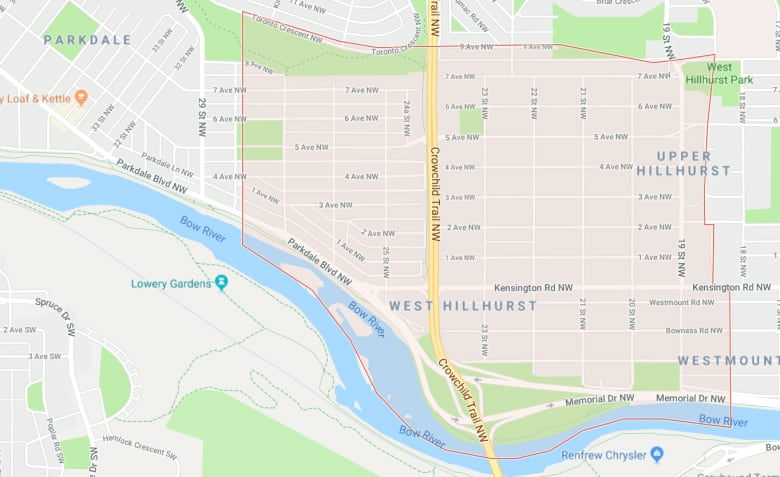 Or should West Hillhurst become part of a larger Hillhurst/Sunnyside community? Maybe we should even think bigger and create a North Hill community that would combine Hillhurst/Sunnyside, West Hillhurst, Parkdale, St. Andrew's Heights, Briar Hill and Hounsfield Heights. Similarly, should Sunalta be part of the Beltline? 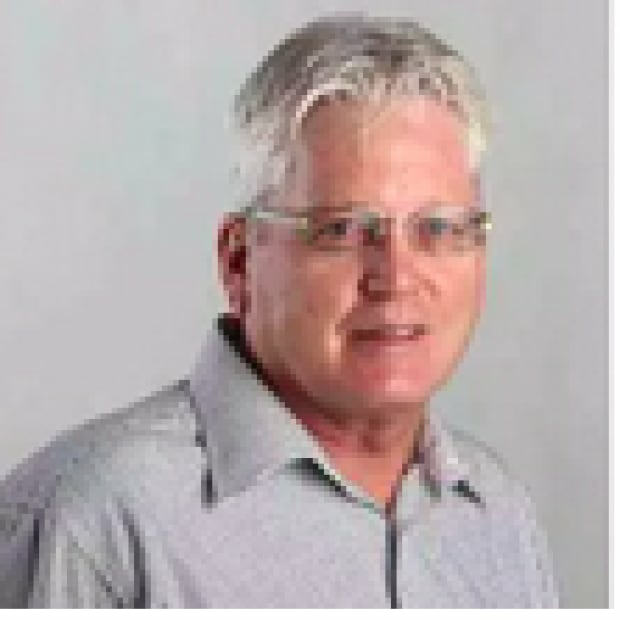 Should Renfrew be part of Bridgeland/Riverside? Should East Village, the Downtown Commercial Core, Eau Claire, Chinatown and Downtown West become one, big, downtown neighbourhood? Many inner-city community boundaries don't make any sense anymore. Most of them were established based on city and homebuilders' subdivisions that are 50 years out of date. We just don't live that way any more. We use our city differently. Indeed, amalgamations have already worked for some neighbourhoods. In 2004, the communities of Connaught and Victoria Park (two of Calgary's oldest neighbourhoods) merged to become the Beltline. This has allowed for better planning and development. Now unified, the city was able to devise a "blueprint for the Beltline" that charted a much more practical vision for the area — a better use of land and limited resources. The Northern Hills Community Association is another example. Here, six 1990s suburban neighbourhoods — Harvest Hills, Coventry Hills, Country Hills Estates, Panorama Hills Estates, Country Hills and Panorama Hills — have come to think of themselves as one, big community. Even while they keep their names, they've found collective action can bind them to each other. Thus, their recent 850-metre mural project — the longest in Canada. So perhaps it's time to stop playing the Freudian civic game of "who has the biggest YMCA?" and start thinking about how we can better share our shiny new civic toys within the content of macro-neighbourhoods. Certainly the folks at city hall, trapped in seemingly endless rounds of consultation on every darn project with a nearly endless list of concerned citizens from "the local neighbourhood" might, just might, find it easier to get stuff done if they had to deal with fewer folks. Yet, I think we must temper this ambition. While Jacobs thinks fostering small-town living "warps" cities, I beg to differ. I don't think wanting to live in a small town is "a sentimental longing for the past," but rather an intrinsic part of human happiness and well-being. So do researchers from McGill and the Vancouver School of Economics, who published a paper in May 2018 documenting that Canadians who live in small towns are happier than those living in big cities. Luckily for Calgarians, despite the endless sprawl, we all continue to live in small towns. Perhaps that's why we are generally happy and satisfied with our quality of life. A 2015 Statistics Canada study found life satisfaction in Calgary is higher than Vancouver or Toronto. A 2017 City of Calgary citizen satisfaction survey found 85 per cent of us rated our quality of life as good. Obviously, Calgary is doing something right. Whether it's an itty-bitty place like Mission, or a bigger, lake community in the south. Vive la difference! Perhaps we don't need all these neighbourhoods. Perhaps there should be some amalgamations. 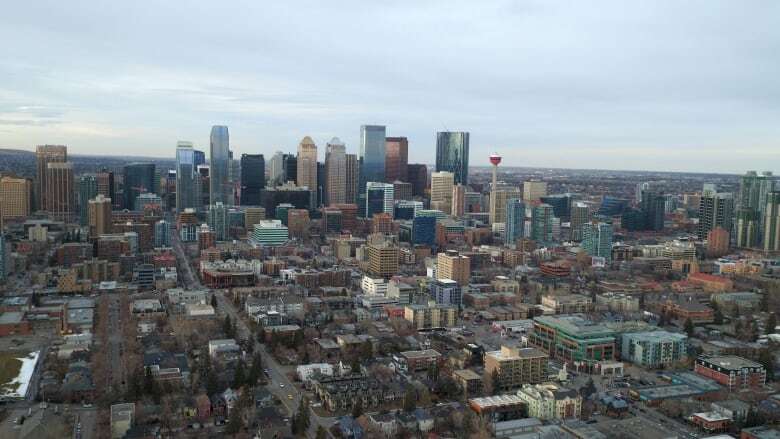 But, for the most part, Calgary has been and will continue to be well-served by fostering a sense of small-town living in an ever-bigger city.